Need to autonomously monitor for that specific color value? Want to hone in on that magenta ball? Or follow that aquamarine line? 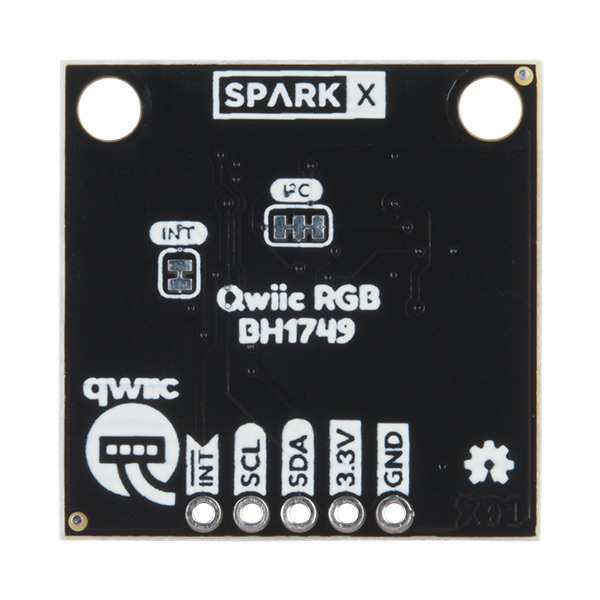 The BH1749NUC-based Qwiic RGB Sensor is here for all of your red, green, blue, and infrared color-sensing needs. The BH1749NUC features an I2C interface and a programmable interrupt output. It senses red, green, blue, and infrared in its field-of-view, then reports each channel as a 16-bit value. 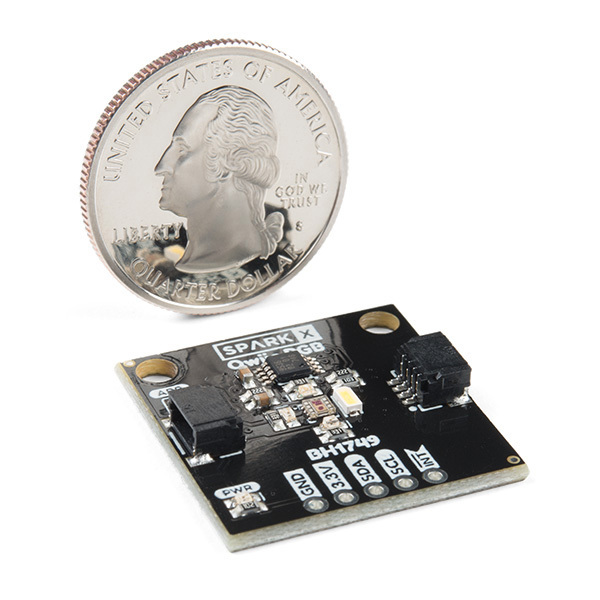 Additionally, it features programmable IR and RGB gains and a variable measurement rate. Also included on the breakout are individually-controllable white, red, green, and blue LEDs. The LEDs are managed with a PCA9536 4-channel I/O expander. 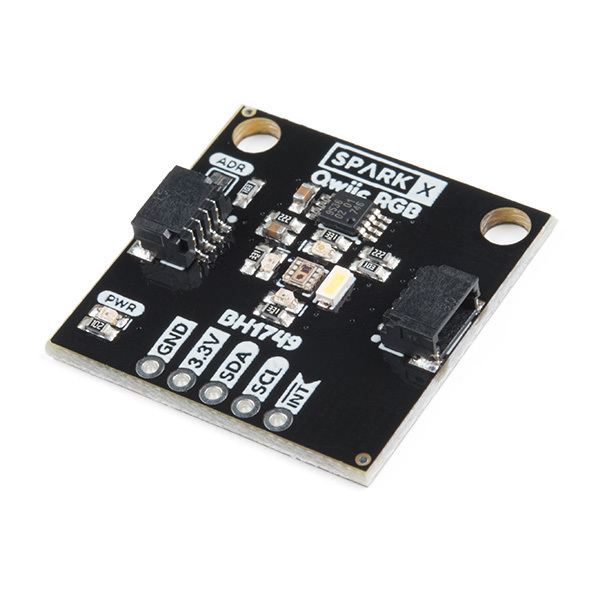 The paired LEDs and I/O expander allow you to customize illumination on your objects of interest with a simple I2C interface -- no extra GPIO-control required! Check out the documents section for a pair of Arduino libraries -- for both the BH1749NUC and PCA9536 IC's -- and a handful of examples to help get you started. 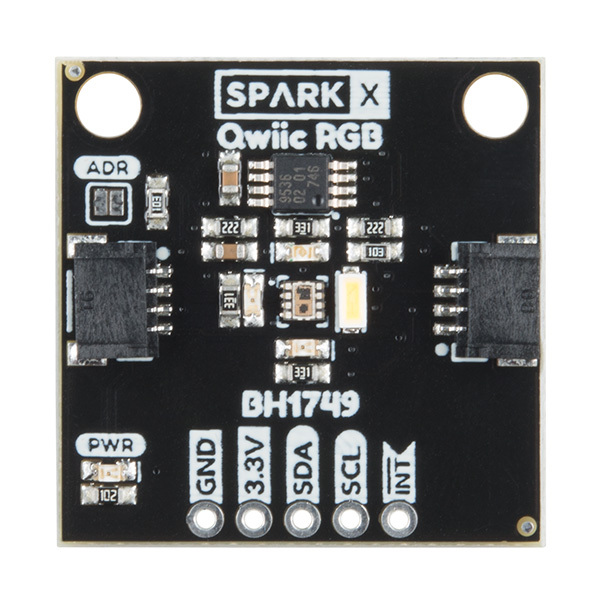 The Qwiic RGB Sensor uses our simple Qwiic interface, so it requires no voltage translation and no figuring out which pin is SDA or SCL; just plug it in and go! 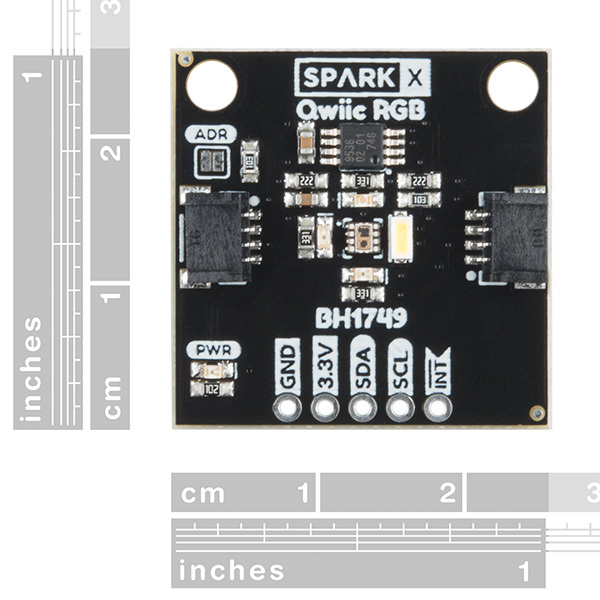 As with any Qwiic board, this product includes a pair of Qwiic connectors to support a chain of multiple sensors. Just started working with this board and I am trying to understand the values it returns. It seems the RGB colour is very influenced by the illuminator. The RGB value colour is the ratio between R/G/B component and the magnitude of those three is proportional to the intensity/brightness/illumination component. Would it be possible to add the part number you used for the four illuminator LEDs, or add data sheets to the documents section, then the spectrum and brightness of the LEDs can taken into account and understood? Many thanks.